What Does Engine Code P0345 Mean? The OBD2 data trouble code P0345 is stored in memory when the Electronic Control Unit (ECU) detects that the Camshaft Position Sensor (CMP) readings are outside the expected voltage range/pattern. This code refers to engine bank 2, in other words, the bank not containing cylinder #1. The Camshaft Position Sensor is an important component for both the fuel delivery system and the ignition system. It's job, is reporting, in real time, the position of the camshaft and thus the intake valve timing. Depending on the vehicle programming, the CMP information can be used by the Electronic Control Unit (ECU) to determine “when” it needs to trigger the corresponding fuel injector (intake valve opening) but also could be used in conjunction with the Crankshaft Position Sensor (CKP) to determine the spark timing. As you may guess, the CMP data is of great significance for a timely fuel/spark timing. Technically speaking, the CMP is usually based on the Hall-Effect design consisting of a toothed wheel attached or part of the cam itself and a stationary electromagnet that also holds the Hall-Effect sensor. As the wheel rotates a voltage pattern is generated similar to a square wave. The cylinder #1 intake valve opening position is usually recognized by using a distinctive tooth normally wider than the rest. That way the ECU uses the wave pattern to identify each valve position and define the appropriate fuel/ignition timing. The P0345 code is triggered when the ECU detects a significative variation on the expected voltage pattern, or when the signal is intermittent. Check Engine Light (CEL) lit. Difficulty during engine start, in many cases even a no start condition. Noticeable engine hesitation during acceleration. > CMP condition: to inspect the CMP condition you will need to remove it from the vehicle. Usually, the Camshaft Position Sensor is located on the valve cover, in this case, engine bank 2 cover. Look for oil, dirt and/or metal debris attached to its magnetic tip. Clean the sensor with extreme care and re-install it on the vehicle. Repeat step 1 to check if the problem is solved. 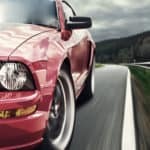 > CMP Sensor wiring and connector: perform a meticulous visual inspection of the Camshaft Position Sensor wiring and connectors. Look for burnt, damaged, corroded or deteriorated wires, also unplug the sensor and look for bent terminal pins, loosely connections, corrosion or any other possible indication of a bad connection. > CMP electrical tests: due to this sensor importance you should perform a comprehensive electrical test including continuity, reference voltage, ground, and supply voltage. Refer to the appropriate OEM literature in order to perform these tests. > Camshaft Position Sensor live test: depending on your vehicle and automotive scanner, you could be able to perform a CMP “live test”. First, enter in KOEO mode and lock the CMP sensor related data on the display. Once you are ready, start the engine to enter KOER mode. If your scan tool has a graphing ability turn it on. Graph engine RPM and CMP output at the same time. Gently accelerate and decelerate the engine. You should see a square pattern coming from the CMP sensor, the frequency will vary depending on engine RPM. > Camshaft Position Sensor live test: the most efficient and accurate way to test any Hall-Effect sensor is using an oscilloscope. Locate the signal output wire from the CMP connector and connect one oscilloscope probe to it. Connect a second probe to a known ground (battery negative terminal is a good one). Your vehicle starts: start your engine. Adjust your oscilloscope vertical and horizontal scales until you can see the square pattern. Take note of the pattern and compare it with the appropriate OEM literature. If you notice intermittent signals or non-square patterns then you may have a faulty sensor. 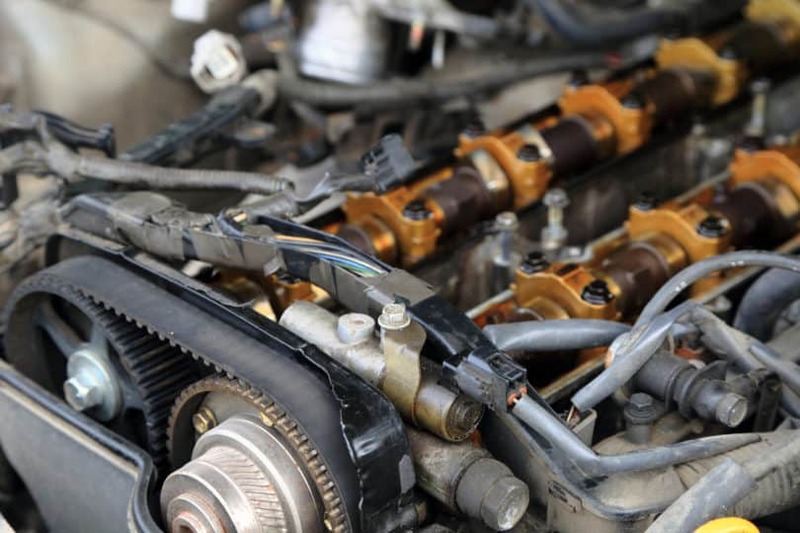 Your vehicle cannot start: in case your vehicle is suffering from a no start condition then keep the starter motor running while you adjust the scale. If no signal is detected you may have a bad CMP sensor and/or (less likely) a broken tooth in the camshaft. Repairing the CMP sensor wiring and/or connectors.